Vice President Kembo Mohadi has said management of Development Trust of Zimbabwe (DTZ) entities needs to be enhanced to increase financial returns. Mohadi said joint venture agreements between DTZ and other partners should also be reviewed to ensure that it was in total control of the ventures. Mohadi, who is the chairman of DTZ, said this at the inaugural meeting of the board of trustees in Harare yesterday. "DTZ has major assets that it owns which are business entities that have the potential to raise a healthy financial portfolio to achieve the objectives that it has been established to fulfil," said Mohadi. "However, the management of these entities and oversight by DTZ needs to be enhanced to ensure that DTZ gets maximum financial returns from them. The current joint ventures also need to be reviewed to ensure that DTZ assumes full control of its business assets. "One of the major tasks of this board is to set up proper business structures for DTZ companies so that they are run efficiently and transparently to raise financial resources for DTZ programmes. We have a huge task to fulfil the vision of the founding icon of DTZ, Umdala Wethu, the late Vice-President Dr Joshua Mqabuko Nyongolo Nkomo. "As we do so, we will also be contributing to the vision of our current President who is the patron of DTZ, His Excellency ED Mnangagwa." VP Mohadi said DTZ owns various business units that include the Nuanetsi Ranch, which has been in partnership with Cutstar Investments since 2008 and together forming a joint venture company, Zimbabwe Bio Energy. "It (Nuanetsi Ranch) is envisaged to develop a 100 000 hectares sugar cane plantation for ethanol production," he said. "An ethanol plant is also to be constructed at Nuanetsi Ranch. This is a major project to be developed by the incoming board of directors of Nuanetsi Ranch." 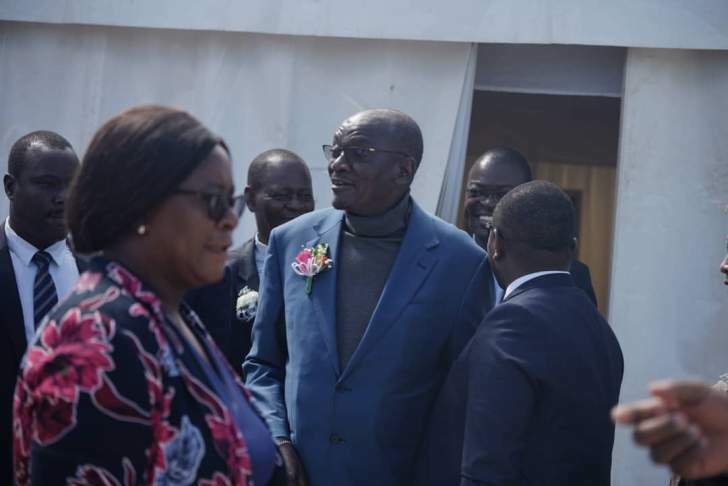 Mohadi said other business units under DTZ were the Zimbabwe Agro-Industrial Development Agency (ZAGRINDA) and DTZ-OZGEO. ZAGRINDA is into processing of tomatoes and horticultural produce, while DTZ-OZGEO is a joint venture with a Russian State-owned company formed to explore minerals and develop mines in areas where commercially viable minerals were discovered. "I challenge you board members to think big and outside the box in order to bring DTZ and its business entities to their full potential so that they can contribute significantly to the development of the Zimbabwean people," said Mohadi. "Work hard and build a legacy for the present and future generations of Zimbabwe."